Relationships are a wonderful thing - and they are closely linked to our happiness. In fact, some say the quality of our life (in other words, our happiness) is directly related to the quality of our relationships. My "Relationship Happiness Loop" concept (which is summarized below), also looks at this issue from the opposite direction, stating that the quality of our relationships is also directly related to the quality of our lives (our happiness). 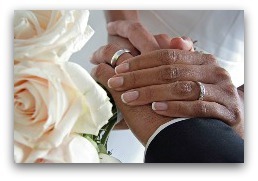 Marriage - one of life's most significant and important relationships - is no exception. Unfortunately, the statistics are not good when it comes to marriage. 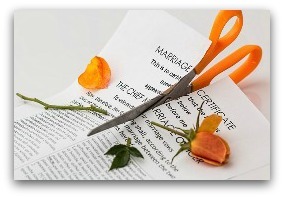 Many countries throughout the world have divorce rates over 50%, including the U.S., France, Belgium, Russia, Spain, Czech Republic and many others. If your marriage is happy, passionate, and fulfilling, life is usually much better overall than if your marriage is full of conflict, distrust, and anguish. Similarly, if you are a happy person overall, your marriage is probably much better than if you are sad, stressed, depressed, or unfulfilled. So, where are you on this marriage spectrum? If you are like many people, especially right now, things could be better in your relationship with your spouse. Stress and anxiety levels are higher than ever - which can affect a marriage negatively. In addition, it's getting all too easy these days to "bail out", which is likely part of the reason the divorce rate is so high. Tens of thousands of divorces occur every single day. This makes for lots of “unhappy” people in our society. The traditional wedding phrase "until death do us part" has become all but obsolete. Even amongst couples who seek marriage counseling (and therefore, are theoretically trying to save their marriage) the divorce rate is very high (still over 50%). Are you headed in that direction? Is your marriage in trouble? And, if so, do you want to "save it"? Have you already tried counseling and it hasn't worked? Or are you one of those married couples who are not headed for divorce, but would just like your relationship to be more intimate, passionate, fun, and fulfilling? Well, as mentioned above, it is important to realize that a truly happy marriage is at least partly dependent on both people in the relationship being happy. And studies show that each of the two partners in the marriage should be about equally happy to have the happiest possible marriage. This is the foundation for what I call a relationship "Happiness Loop" which basically says that it's not only great relationships that make us "happy" in life, but rather that happiness is what allows us to have great relationships... which then creates even more overall life happiness (do you see the "loop" here?). And the effect is even most pronounced with regard to marriage – both for people who are already married and for those looking to get married (to the right person!). It is somewhat of a complex subject, so click here to read more on the topic. The key is that it is critical to be happy if you want to enjoy a truly happy marriage. 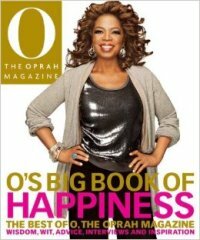 So, first, get your free copy of my foundational book called BeHappy! by clicking on the "Order Free Now!" button in the box to the right and I'll sign one for you and send it to you right away (along with the two free ebooks books as an extra gift). 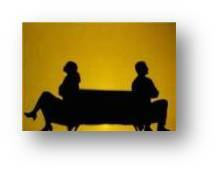 According to sociologists Jeffrey Dew and W. Bradford Wilcox, married couples who spend time alone talking or doing an activity together at least once a week were 3.5 times more likely to be happier than those who did not. Click here for a list of 41 tips and ideas on making your marriage happier. Even with everything stated above, many marriages (and perhaps most these days) are in trouble and will end up in divorce. Again, the statistics are clear. Here's the thing, though... there is only one person in control of any relationship. That person is you. You have the choice on whether to do whatever it takes to turn a troubled marriage around or let it get worse and end up in divorce. You also have the power to transform your marriage, even if your partner doesn't want to. That's because your behavior has an enormous influence on your partner, to the point that married people actually grow alike over time. We tend to pick up our partner's moods, preferences, and ways of talking or feeling. If you transform yourself - your attitude, the way you communicate, how you show love and affection - your partner will not be able to resist. A happy, fulfilling relationship begins with you. 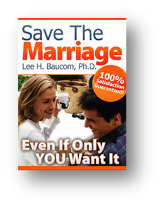 Now, I am not a marriage counselor, or even an expert in relationships, so, if your marriage is in trouble, and even if you feel there is no hope, there are some great resources available to save your marriage and turn it into a happy, fulfilling relationship. If your marriage is in trouble and you are concerned about its survival, this product will help you discover the truth about what’s going on in your marriage, end any pain you may be going through, stop divorce dead in its tracks, and rebuild the strong, intimate marriage you've always wanted ... even if your spouse doesn't want to! Check out other relationship parts of this website by clicking here.